Every once in awhile, a franchise is lucky enough to acquire a young pitcher so good they’ll do anything to get him on the big league mound as soon as possible. This player is usually a sure-fire ace or second starter with big-league ready stuff. Teams with little rotation depth may toss him in as a starter right away. But for many squads with a relatively solid 1 through 5, the fashionable course of action is to ask the young man to change roles and serve as a late-inning reliever. Which begs the question: is this wise? Such a debate is raging right now in Texas over the reigning AL Rookie of the Year, Neftali Feliz. Last year Neftali controlled hitters with a mature approach, logging 40 saves while maintaining a nearly 4:1 strikeout-to-walk ratio. He established himself as one of the elite closers in baseball in a single season. Still, many Rangers fans would probably like to see him in a role that would allow him an additional 100 to 150 innings on the mound. Just imagine that 2.73 ERA projected over a full-season as a starter! But, argue naysayers, you’ll be lucky to get a full season out of him if you try to make him do too much too soon. Next thing you know, you’ll end up with prospect heartbreak akin to horror the Nationals experienced last year watching Mr. Strasburg slump off the field while holding his golden arm and grimacing. Texas actually boasts one of the better recent case studies in the starter-to-reliever-to-starter experimentation process. Despite spending the majority of his minor league career as a starter, C.J. Wilson opened 6 games as a 24-year-old rookie for the Rangers in 2005, then spent the subsequent five up-and-down seasons pitching exclusively out of the bullpen. Last year the Rangers worked him into the rotation and the lefty responded with a 15-8 record and a 3.35 ERA in 204 innings. Nice as Wilson’s story is, it is hardly applicable to the current situation of Feliz, who has yet to reach his 23rd birthday. But it does make one wonder, if Wilson had been moved into the rotation earlier, might he have delivered several solid seasons and helped the Rangers more than he did as an occasionally awful reliever? The debate is two-fold. On the one hand the needs of the team must be considered. If you have a dominant young arm available, does he put your club in a better position to win games as a starter with limited innings, or as a full-time set-up man or closer? On the other hand the health and development of the pitcher himself must be assessed. 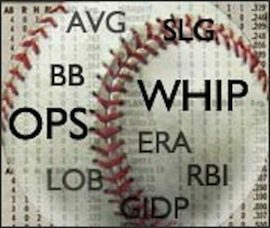 Even if he delivers in the short term – how much use is overuse, and are the psychological strains of being a late inning door-closer less detrimental than the physical strains of 150 innings or more in the rotation? Or are prospect and team alike best served by a careful development of the pitcher as a starter in the minors, until a rotation spot is available? Teams have taken different views through the past few years, though clearly each decision comes down to (or should come down to) a thorough assessment of an individual player rather than a franchise-wide policy. Jonathan Papelbon was expected to front the Red Sox rotation of the future along with lefty Jon Lester. Instead, due to the Sox’ particularly deep staff in 2006, coupled with the rapid demise of Keith Foulke, he found himself closing. As it turned out, Pap’s berzerker mentality lent itself well to the role, and over the next 4 years he performed as one of the best relievers in recent memory. He even won that ring in 2007, offering ammunition for the proponents of the, “use your best arm as your closer, regardless” theory. But his bumpier 2010 at the age of 29 has some wondering if the pressure and hard throwing (short relief roles allow pitchers to chuck with more wild abandon than do multi-inning starting gigs) are beginning to break him down prematurely. We’ve seen other elite closers hit sudden hiccups or complete disintegrations in the midst of their primes. Will Boston try moving him to the rotation soon, only to find it is too late and his effectiveness is gone? Despite recent questions, Papelbon is considered a success story as far as starter transformations go. Joba Chamberlain, though he shares similar psychosomatic abnormalities and a zest for fireballing with the Red Sox closer, is certainly not counted a success. The Yankees strongest-armed hurler in a long time is a poster child for the movement against swapping young pitchers between the rotation and the ‘pen. Though at times dominant as a reliever, the delivery and mentality Joba maintained as a late-inning man didn’t transition effectively back to a starting job. Chamberlain has also fought the sort of issues with his physique that typically spell doom for a starter but with which a closer can still be dominant (see: Rod Beck, Eric Gagne, Jon Broxton, et al). Once it looked as though he was the heir apparent to Mariano Rivera as the NY stopper, but with Rafael Soriano now in the picture, it appears the Yanks have lost all faith in their one-time wunderkind. But he’s still only 25, so we’ll see. Possibly the most successful current there-and-back-again conversion is the Cardinals’ Adam Wainwright. After a full 2006 season as a short-relief man that culminated in a stellar postseason run as closer (and ended with a championship), Wainwright has developed into one of the most consistent starters in baseball. Would this transformation have been possible if St. Louis had kept their ace in the bullpen for several more years before returning him to his natural role? Some would argue no, and Wainwright’s case is perhaps most applicable to Feliz and other young starters-turned-relievers such as Andrew Bailey. 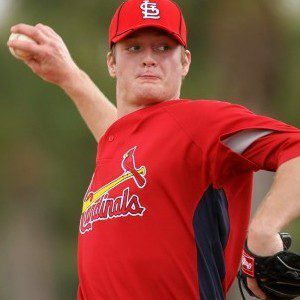 Many believe that, while it may benefit the team and the kid in the short term for him to see major league batters in the limited way afforded by relief work, a club’s goal should be to move these talented arms into the rotation with alacrity. Otherwise, players can lose a grip on the mechanics and mentality unique to starting, and more irreversibly, can wear down their arms and psyches in high-octane, high-pressure late inning roles. Due to playing much of his career with the Cubs, who are famous for jerking veterans back and forth between rotation slots and closer positions (see also: Kerry Wood, Carlos Zambrano), Ryan Dempster knows a thing or two about the difference in approach required of a starting pitcher and a member of the ‘pen. Dempster likes to joke, but he’s dead serious when he says, “that’s a tough thing to do – to go out at the beginning of the year and say, ‘hey, now we’re going to extend you and extend when you’re used to going one inning, maybe two, and throwing the ball as hard as you can.’” The longer you keep a kid in that one-inning role, especially a hard thrower, the more you jeopardize his chance as an effective starter in the future. Chicago’s cross-town counterpart faces a similar choice to that debated in Texas – Chris Sale, a rookie flamethrower who looks like he’s on stilts, will most likely work as a set-up man and occasional closer in 2011 because the White Sox’ rotation is jam-packed. With questions about the rail-thin kid’s stamina already surfacing, will the White Sox take the right approach in terms of his development? And of course there’s the messianic Aroldis of the 105MPH fastball and 90-something slider. How many digital digits will fall from the radar gun before he uses those pitches in the early innings? Only time will tell. But who wants to wait for time? Weigh in now with your thoughts. Would you put your top pitching prospect directly into your rotation and pick up a solid free agent reliever to shore up the ‘pen, or would you throw the youngster with the heater to the dogs in the 9th and sign a veteran innings-eater for the back end of your rotation? Do some teams get too caught up in the moment and fail to see the bigger picture with regard to player development? If more teams had the guts to take the 23 year-old closer phenom out of the bullpen and let him develop in the rotation, would more teams have perennial Cy Young contending starters like Adam Wainwright? Or would more end up with Joba Chamberlains? Annnd now Wainwright may be out for the year. Relevant to the discussion? Too many 200+ inning years and CG’s?